I think this last part refers to “our friends, the Saudis,” who take a less than progressive view of lesbianism. 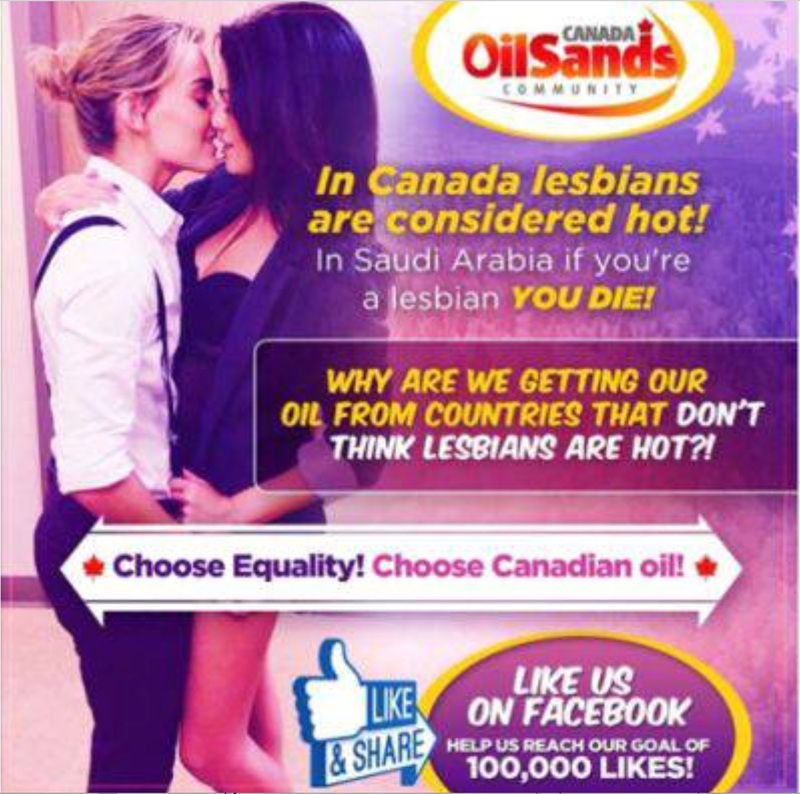 The Oil Sands Community has taken down the ad and apologized. UPDATE: Turns out there’s a video version of this same geopolitical message.